I was psyched about visiting this place even before stepping foot in Coimbatore. Located on a busy road in Peelamedu, Burger ka Baap is a student-friendly place, as the menu suggests. I had the Burger ka Baap XXL Chicken Burger and it turned out to be monstrous in size. 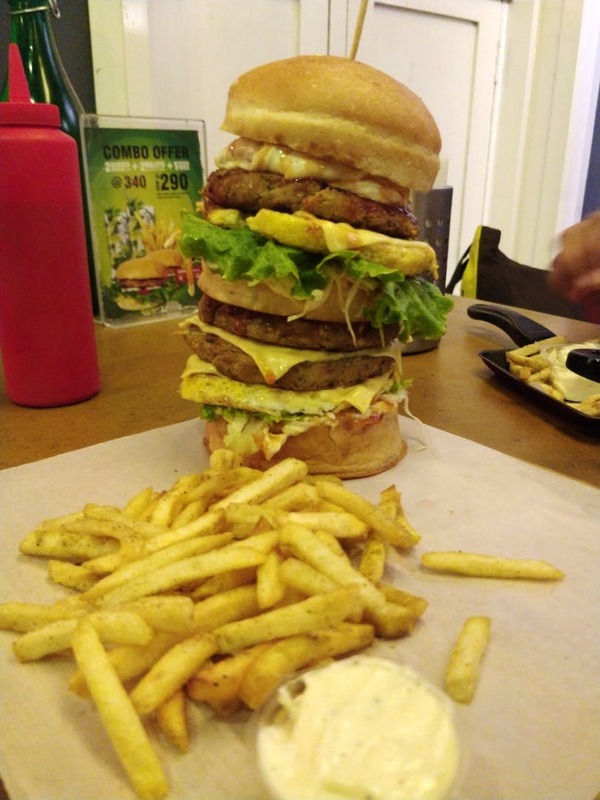 I've always been fascinated by towering burger concepts but if you're taking a go at the same, then hoping to have the pleasure of holding your burger as a whole before taking a bite is a feeling that will keep eluding you. The patties inside the burger were well cooked. Though it was a real challenge to work through the layers, the burger was delicious. An ice cooler or a soda on the side will definitely help. The service was decent and the value for money was high too. I also tried the fries, which were quite amazing.